Adidas AG (ADR) (OTC: ADDYY) has taken a major step toward bringing 3D-printed shoes to the mainstream. 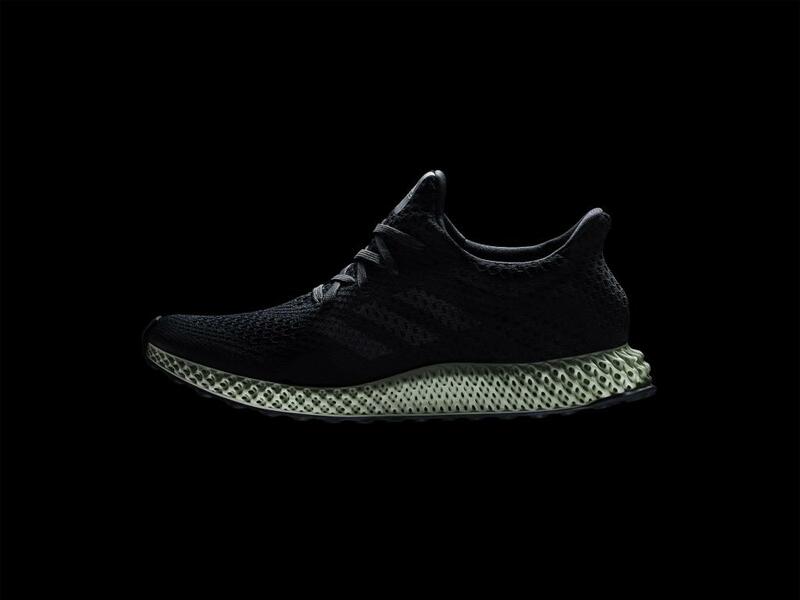 The German sportswear company announced Thursday it is launching the first mass-market 3D-printed shoe, its FutureCraft 4D. The launch could end up being one of the most notable innovations in the shoe industry, just scratching the surface of what undoubtedly will be the future of the footwear sector. The FutureCraft 4D will start with a 5,000-shoe run, with plans to produce 100,000 pairs by the end of 2018. “It's about quality, speed and scale in a way that has not been possible before. We can reduce printing time [...] which used to be tens of hours, to tens of minutes,” said Eric Liedtke, an Adidas executive board member responsible for global brands. While Nike Inc (NYSE: NKE), New Balance and Under Armour Inc (NYSE: UAA) have also launched their own 3D-printed shoes, their availability was limited by extremely low quantities. Under Armour debuted the Architect, a 3D-printed shoe for Michael Phelps at the Rio Olympics last year, while Nike doubled down on its own 3D printing venture, the ManRev initiative. 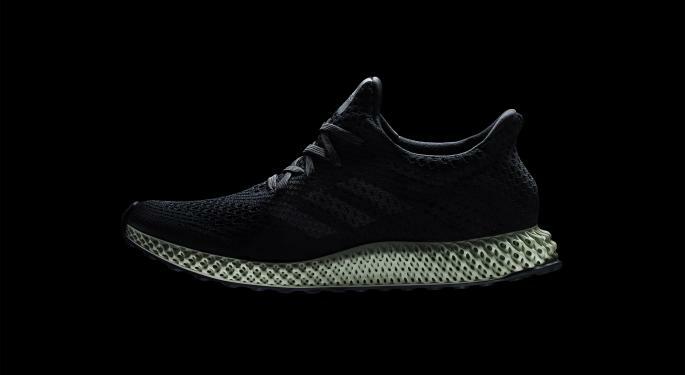 The FutureCraft 4D was made possible through a partnership with Carbon, featuring midsoles using Carbon’s pioneering Digital Light Synthesis technology. The shoes are crafted with light and oxygen and made with programmable liquid resins that can create properties and materials not previously seen. “With Digital Light Synthesis, we venture beyond limitations of the past, unlocking a new era in design and manufacturing. One driven by athlete data and agile manufacturing processes. By charting a new course for our industry, we can unleash our creativity- transforming not just what we make, but how we make it,” added Liedtke. The excitement behind 3D-printed shoes is multifold; not only does the technology cut down production time significantly, but it allows for extreme customization. Currently, when a brand makes a mass-market shoe, millions are produced for one type of foot, no matter the weight or dimensions of the consumer. However, now technology is able to address and customize regions of the shoe unlike ever before. "Despite the influence of technology to improve almost every other aspect of our lives, for eons the manufacturing process has followed the same four steps that make up the product development cycle — design, prototype, tool, produce. Carbon has changed that; we've broken the cycle and are making it possible to go directly from design to production. 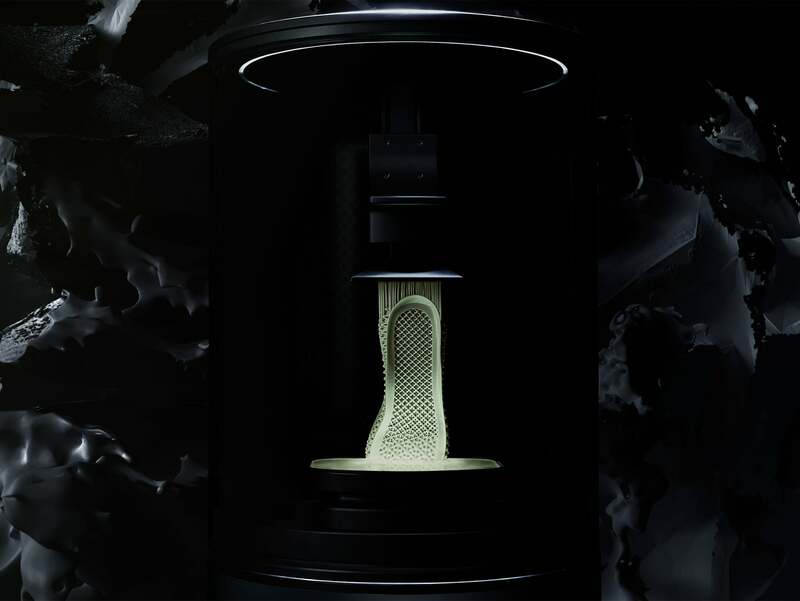 We're enabling engineers and designers to create previously impossible designs, and businesses to evolve their offerings, and FutureCraft 4D is evidence of that,” said Joseph DeSimone, Ph.D., Carbon co-founder and CEO. The different applications companies can use 3D printing to transform their production capabilities are immense. McLaren’s F1 team also announced Friday it will start printing 3D parts trackside, a move that certainly will revolutionize the way cars are manufactured in the future. “Ten (10) people with 100 printers in 2,000 square feet can produce 12,000 shoes a month. It’s a game changer,” said Michael Mazzotta, founder of 3Dshoes.com. While the concept has been around for some time, the shift toward consumer-based 3D-printed products has begun to emerge. The shoe industry very well could be the first to bring 3D printing to the mainstream consumer. Image Credits: Both images provided by and used with expressed permission from adidas.